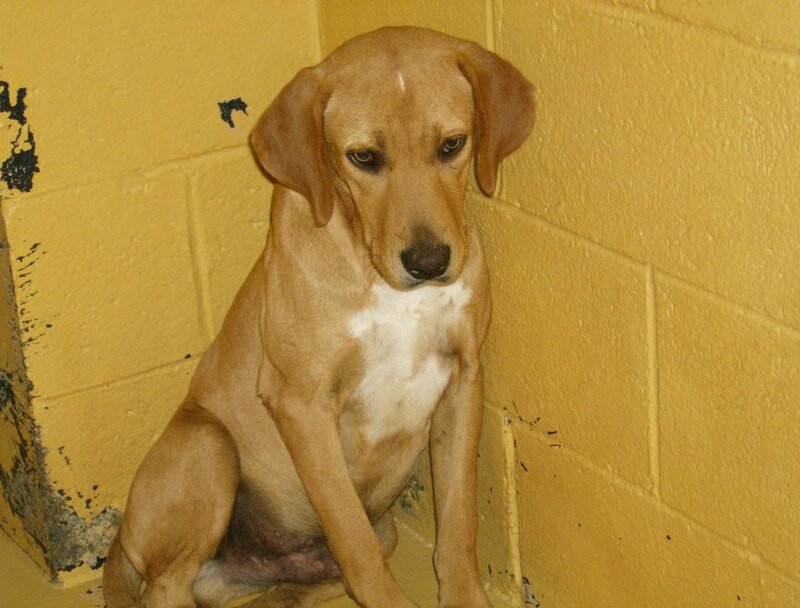 Saving Spalding Pets: BO6-707 LABRADOR RETRIEVER/HOUND MIX-DUGAN-RESCUED! This boy was pretty apprehensive in his kennel, but when the shelter manager went in with him, he relaxed and seemed to enjoy being petted. 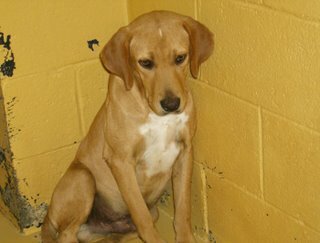 The shelter can be a very scary place for the dogs and cats, and some of them are really bothered by it, like this guy. His LAST DAY ALIVE will be OCTOBER 20.